Zombie Smasher is a pretty straightforward Android game. Enemies appear onscreen and you tap the buggers to squash them flat. Armed with this knowledge, you should have little trouble breezing through the easier stages. Tougher boards, however, will require a bit of strategy, which is why we put together this Zombie Smasher cheats and tips guide. There are different types of undead in this game. Basic zombies, the ones you encounter early on, pose little threat in limited numbers. As for the rest, here's the breakdown. Zombie Dog: Speeds up or changes direction without warning. Driller Zombie: You can only kill this zombie when it's aboveground. Teleport Zombie: Can and will teleport horizontally across the play area. Baby Zombie: Moves in your direction once you kill its mama. Big Zombie: Press and hold this zombie's head until it explodes. 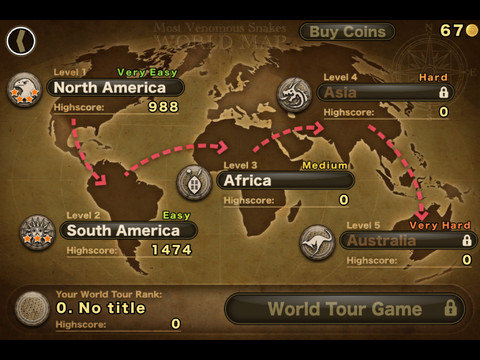 Don't wait for the zombies to reach the middle of the screen. Smash them as soon as possible. Accidentally tapping these otherwise healthy children will instantly end the current game. You receive three hearts in Story mode and lose one each time a zombie disappears off screen. Always a good idea to know how many you have left. You only have a limited number of these items at the beginning and acquiring more means having to spend money. Utilize the Meat Lure (attracts zombies), Lightning (fries them) and Bomb (blows those suckers up) at your most desperate moments. Example: being overrun by swarms of enemies. This helps build a combo that in turn will move you one-step closer to achieving three stars for that particular stage in Story mode. 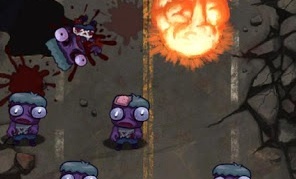 -Be on the lookout for free Brains (the game's currency) in Survival mode. -Press clocks in Time mode to gain five additional seconds.